Artificial trees and tubes of algae on the sides of buildings could absorb most of the United Kingdom’s annual carbon dioxide emissions, according to a report from engineers that will be circulated at party conferences in the autumn. In research examining the role that geo-engineering could play in tackling climate change, a 12-month study by the Institute of Mechanical Engineers (IME) also found that painting city roofs white could also prove to be a simple but effective way to curb excessive global warming. Geo-engineering is a set of technologies that could prevent or slow global warming — it includes everything from sending mirrors into space to reflect away sunlight to dumping iron into the oceans to encourage the growth of algae, thereby removing atmospheric CO2. For their study, the IME searched for ideas that were most practical and could have impacts on CO2 or global energy use levels as soon as possible. Setting out their recommendations in a report published today, the IME called on the British government to put up £10 millon (US$16,221,000) aimed at turning the three most promising ideas into reality. They advocate this being part of a £100 million (US$162,215,000) global fund for geo-engineering research. Top of their list of practical solutions that would be low-carbon to build and require only existing technologies were artificial trees. These units, invented by Columbia University scientist Klaus Lackner, would be the size of a standard shipping container and could remove CO2 directly from the atmosphere. “100,000 trees would take up an area of around 600 hectares, which is less than 10% of the surface area of the Firth of Forth, and that would be able to absorb the CO2 emissions of the UK’s non-power sector annually,” said Fox. Currently the UK produces 556 megatonnes of CO2 per year and the 100,000 trees could absorb around 60% of that amount. The engineers calculated that forests of artificial trees powered by renewable energy and located near depleted oil or gas fields, where the trapped CO2 could be buried, would be thousands of times more efficient than planting trees over the same area. Making each artificial tree would require energy and materials but this would only account for 5% of the CO2 that the device could capture in its lifetime. On a global scale, between 5-10 millon artificial trees could absorb the CO2 emitted from all sources other than power stations. Another geo-engineering solution highlighted by the engineers was attaching tubes filled with algae to the sides of buildings. “Algae is a naturally-occurring eco-friendly biomass that tends to have a high level of CO2 use in photosynthesis,” said Tom Bowman of IME. The algae that grows can be collected and turned into charcoal, which can be buried so that the CO2 it has captured is locked away from the atmosphere. Painting roofs white was recommended by the engineers to counteract the urban heat island effect, where major cities can be up to 4C hotter than their suburbs. This means more use of air conditioning or other cooling methods and it also speeds up the formation of smog. The IME said that reflective roofs can reduce the energy use of a building by up to 60%. Fox said that global carbon emissions had continued to rise despite two decades of attempts at mitigation, so geo-engineering should not be regarded by policymakers as a plan B, but an integral part of the solution to global warming. This article was first published on guardian.co.uk at 00.05 BST on Thursday 27 August 2009. Very interesting. 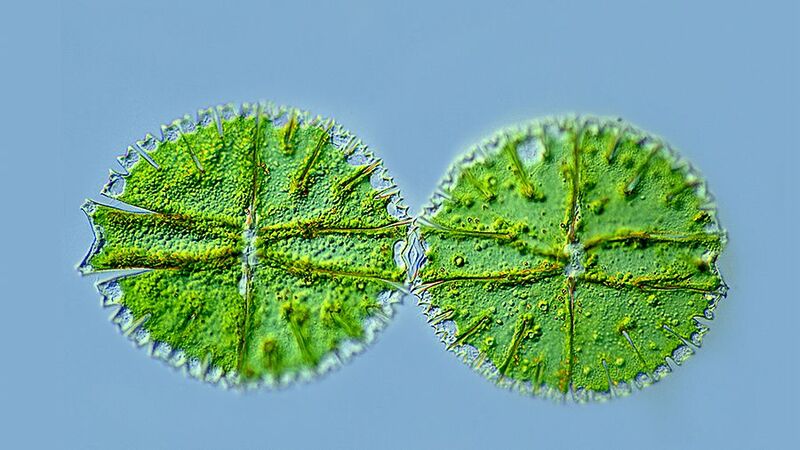 Algae is the most promising solution for climate change IMO. Algae is a huge commodity in our world. Exxon-Mobil has been looking into using algae as a way to create bio-fuels. Even with these new advancements, it is still important to not just rely on algae and other plant life to fuel out future; we need to still strive for even better more efficient and green ways to move forward.